TRACLabs has developed software for Anytime Summarization for Assessing Performance (ASAP) to orient personnel quickly about the performance of remotely operated planetary robots. The software for “Anytime Summarization to Assess Performance” (ASAP) was developed to orient personnel quickly about the performance of remotely operated planetary robots. Because the robot is remote, data may be limited, interrupted, or delayed, and it may not be possible for personnel to monitor robot operations in real-time as they occur. Thus, an “anytime summary” must support personnel with different perspectives in understanding the operational situation at any time without relying on eyes-on vigilance monitoring. 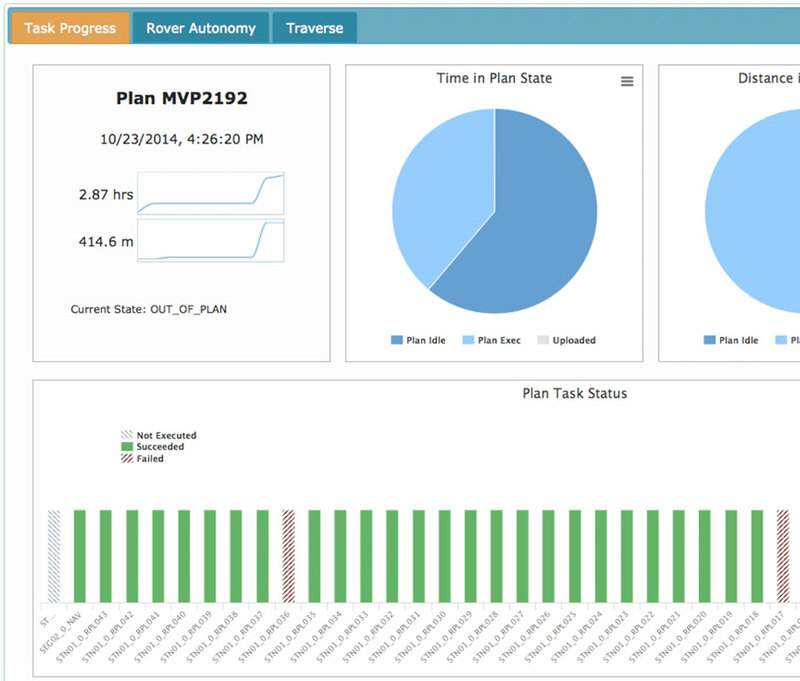 The ASAP software is implemented as a web application that computes and displays ongoing robot performance including key performance indicators, and significant events affecting performance. Challenges in building anytime summaries, include: i) computation of performance measures in real-time, ii) automated segmentation of streaming data into performance regions, and iii) visualization of robot performance from multiple perspectives. The ASAP software has been used to compute performance summaries for two NASA robotic field tests – HET Surface Telerobotics flight demonstration and Mojave Volatiles Prospector field test. Surface Telerobotics investigated remote supervisory control of the K10 rover on earth by astronauts on the International Space Station. The MVP field test investigated whether clast cover on the surface of the Mojave Desert can indicate the presence of subsurface water. The NASA K-REX robot was used to collect data for this investigation, to inform future robotic planetary exploration missions. This project was funded by NASA STTR.